The Diwali holidays are just over so you are probably wondering why I’m writing this post when the children have just gone back to school. Well, it’s basically because I’ve just returned from a kid friendly holiday myself and thought I must share my newly found gyaan with all of you so that the next time you have a holiday coming up, you’ll have some idea of where to go and what to do. 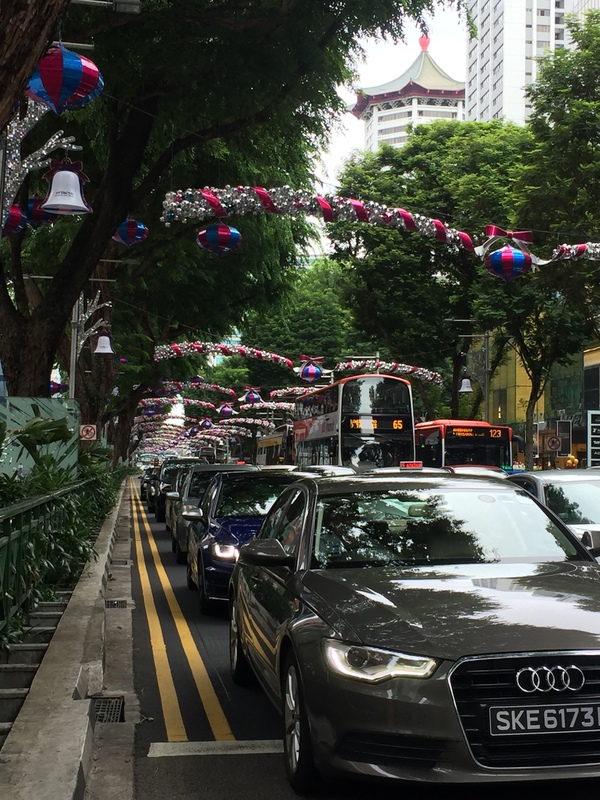 Currently all of Singapore is acquiring a festive look with streets and malls gearing up for the holiday season. 1. It has a flight duration that is doable. The Jacob Ballas garden in the Botanic Gardens is great for toddlers, preschoolers and primary school children. There are activity areas like the sandpit and tree house, a suspended plank bridge, scooters on hire for kids who want to zip around the place and a kid’s cafe for a quick bite. (The Singapore Botanic Garden is really large and it isn’t really doable for infants so choose from one of the gardens you’d like to visit. Also make sure you have your mosquito repellent in place) The Singapore zoo is mind blowing as it strives to recreate the animal’s natural habitat. Who wouldn’t like to take a walk with the lemurs or poke his head in an igloo? Sentosa Island , that magic land of activity truly has something for everyone. Once again choose wisely for it is really impossible to do everything at one time. My little grandson had a blast on the toy train and the cable car while his infant brother peacefully slept throughout in his carrier. Jurong Bird Park is the obvious favourite of children who love the 11am Bird Show. With its smooth and well marked pavements and walkways, Singapore is easy to move around with children in strollers as all places have ramps for easy access . Most restaurants and shopping malls welcome children and have nursing facilities too. Strollers can be taken into the train without folding, though bus rides require strollers to be folded away. But fear not, the bus driver gives you enough time to board the bus with baby and stroller in tow. And as for taxis, they too allow strollers to be folded away in the boot. The climate is what we are used to in India so there’s no need to equip yourself with different clothing or equipment. Food, which is a major issue with us Indians is normally a deterrent to travel but in Singapore all kinds of food are available very easily so you don’t really have to carry your familiar thepla, paratha or Indian snacks. 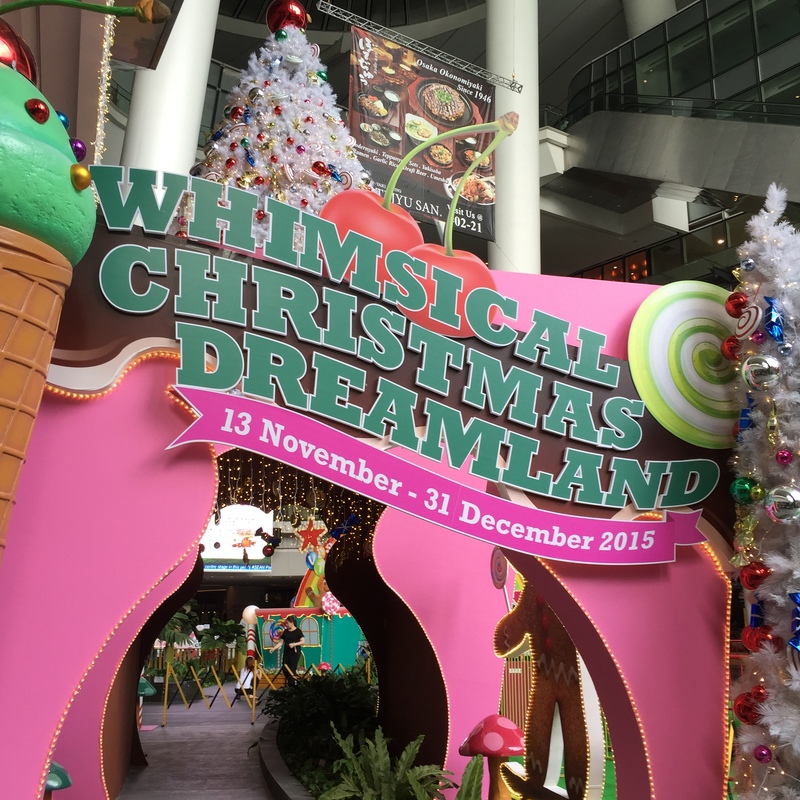 Now aren’t these reasons enough to spend the Christmas holiday in Singapore with your children? ← Should Little Girls Wear Makeup?